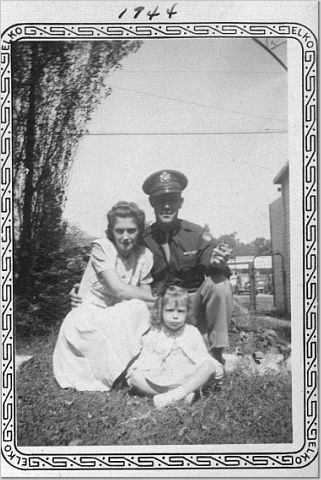 Meier enlisted on 8/10/43 and was then asigned to the Army Airforce. He received his training in the States, he went to flight school to become a pilot. 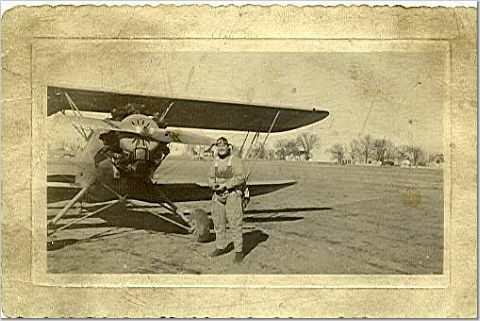 His received his first flying lessons on a PT-19B. During his training he he flew in several different aircrafts, L-3B, L-4H, L-3C, C-47A and CG-4A. On January 7, 1945 he left the states and flew the northern route to Europe. They made several stops along the way. One of the stops is in Iceland then Schotland. Final destination was station 486 near Greenham in Southern England. The group flew supply missions to battle areas, including two flights to Bastogne, during the Battle of the Bulge (Dec 1944-Jan 1945). 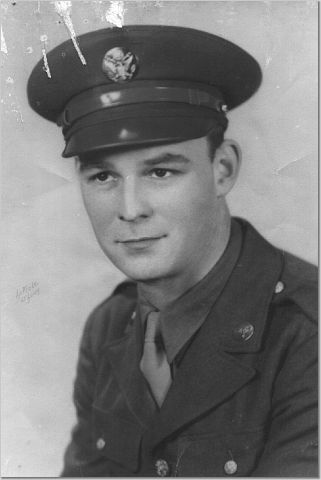 Meier moved with the grouo to France in Feb-Mar 1945. He flew into Germany in a glider during the airborne attack across the Rhine in Mar. The group evacuated Allied prisoners of war after V-E Day. 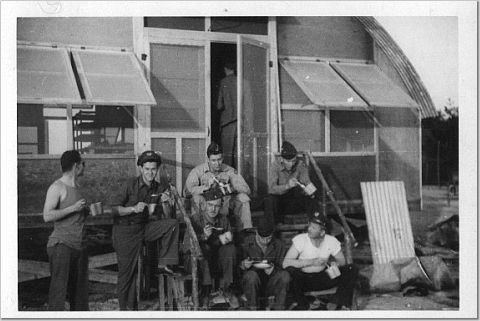 At the end of the war in Europe, Meier was transfered to the 437th. 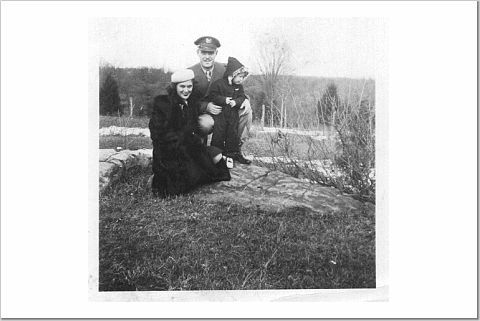 He went back to the states on July 13, 1945. On 11 november 1945 he was discharged from service on the AAF Separation base in Santa Ana, California. 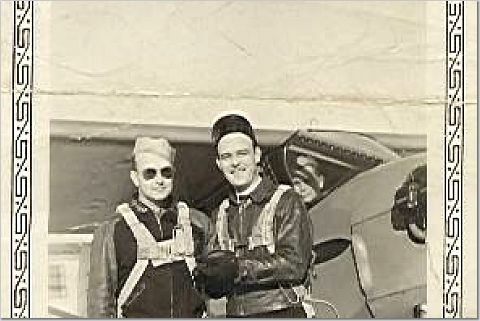 Meier with his flight instructor. On of the first trainers on which Meier learned to fly. Meier and friend in front of their Nisson huts on their airfield in Greenham, England. 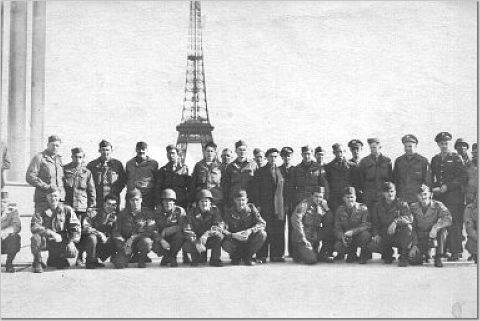 Meier and a group of soldiers on leave in Paris. Picture courtesy his daugters, Jerre Purvis and Lyn Masterson. 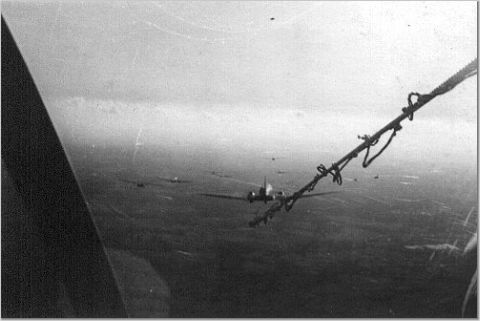 Meier is flying a glider that is being towed by a C47. 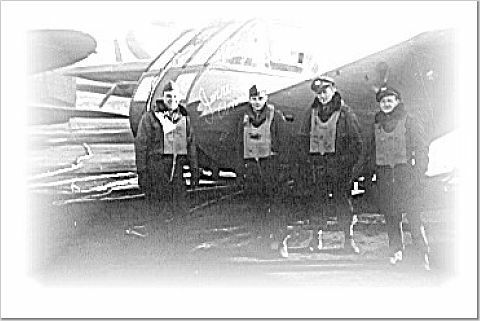 Meier and the soldiers that he flew into Germany diring the crossing of the Rhine posing in front of their glider. The glider carries the name of Meier's daughter, Jerre Ann.